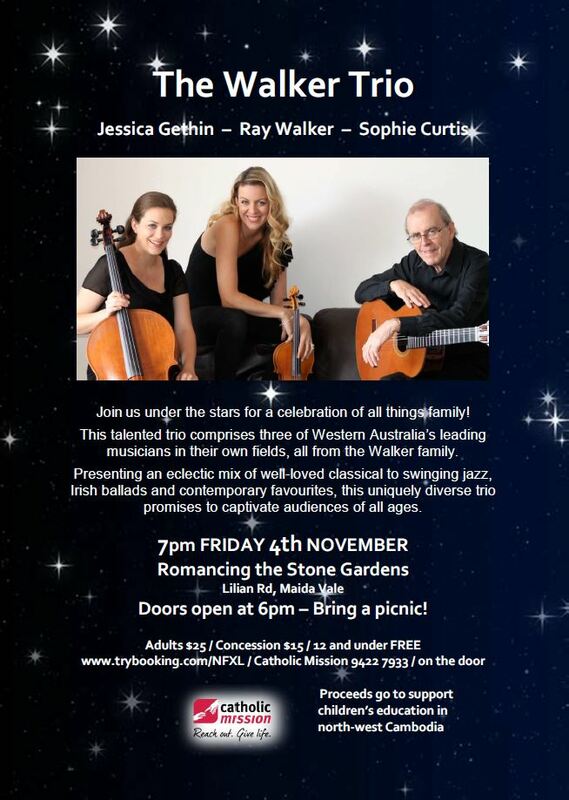 Catholic Mission invites you to join them and The Walker Trio for a night of music under the stars, at Romancing the Stone Gardens in Maida Vale on Friday 7th November. Please see the flyer below for all event details. Proceeds from the ticket sales will go towards supporting children’s education in north-west Cambodia.